Blockchain is the future of data transaction as it is secure and verified at each stage. This means all transaction that goes through blockchain cannot be falsified. KLASPAD blockchain would run a number of services, primarily the transfer of digital assets (e.g. certificates) and the release of data to clients. A single blockchain will allow Klaspad to offer a range of services and add new services in the future. Using smart contracts on the blockchain, Klaspad will be able to create and launch new data services faster. 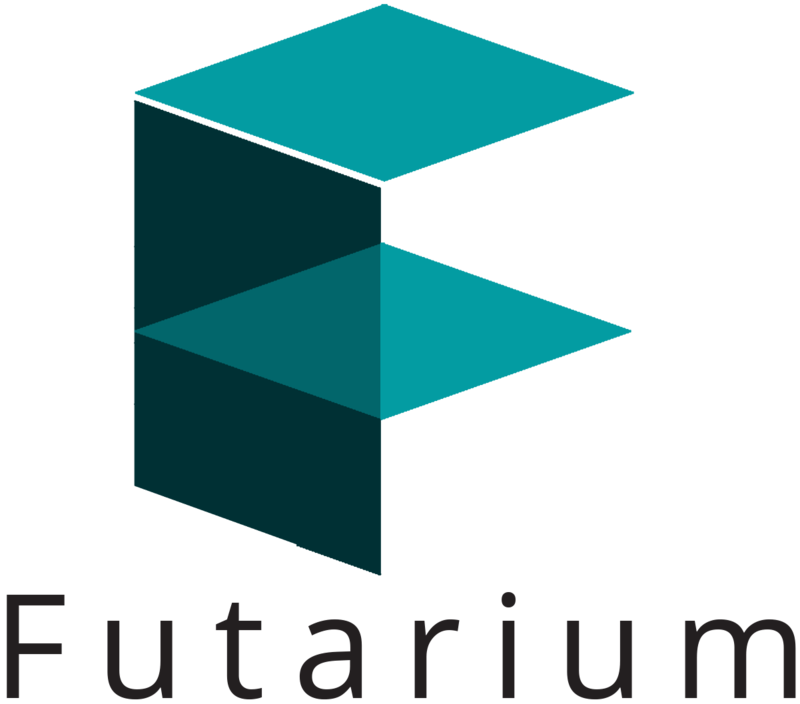 The use of hyper-ledger fabric will offer Klaspad the flexibility and the added side effect of being able to host blockchain services for others. The Interface Interface will be able to talk to the Blockchain network. Transactions containing chain-code (smart contracts) can be designed and triggered here by Klaspad clients, via a software or web interface. Peers are nodes that contain copies of the ledger. These peers will require the permission of the organization to operate. Klaspad may allow clients and other stakeholder institutions to run their own peers, allowing them to keep an eye on the integrity of the network, though this is not necessary. Orderers are nodes that verify transaction operations. Peers will only update the blockchain if an orderer has verified the transaction. For this reason, orderers will only be run by Klaspad. Hyper-ledger is quite different from traditional decentralized blockchains, it’s better considered a distributed blockchain that requires permissions from a central authority. Because the network has a permission hierarchy, it is more secure than a small decentralized blockchain, while still retaining integrity and security benefits. Hyper-ledger fabric will allow Klaspad to provide data services over its blockchain framework, in a secure, scalable way. The Hyper-ledger framework takes care of the peers and the Orderers. 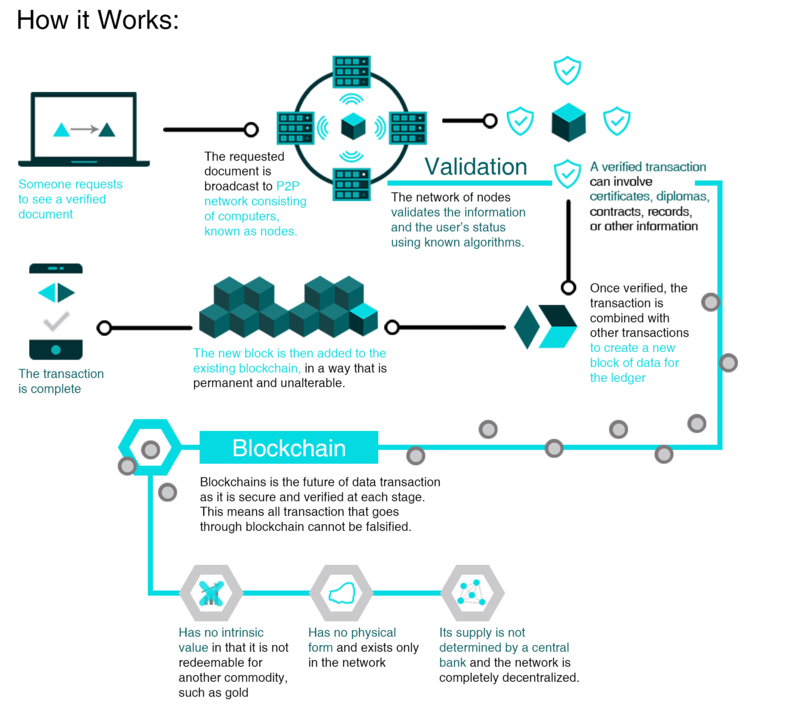 The Hyperledger SDK can be used to develop the interface and the chain-code. 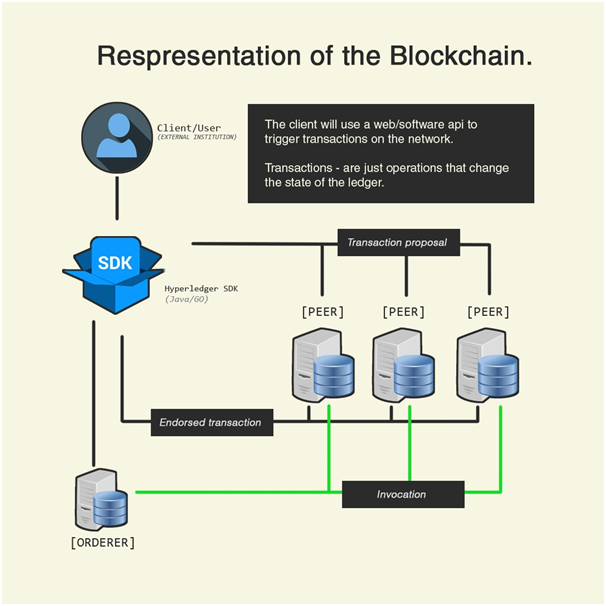 Clients trigger some change to the ledger, the SDK generates a transaction proposal to the peers. The peers simulate and endorse the transaction and return it to the SDK, then it’s sent to the orderer to be verified.